AirPods will hit new highs in 2018. Yes, AirPods launched in 2016, but it was already halfway through December when they went on sale — and even then you couldn’t buy a pair without waiting for weeks. But the wait was totally worth it, and the AirPods may be not only my favorite gadget of the year, but also the neatest thing out of Apple in quite a while. 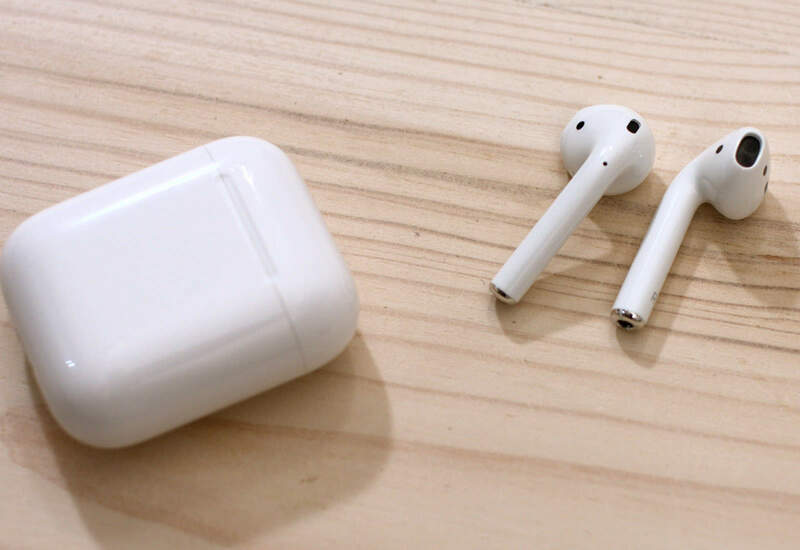 The AirPods are essentially a pair of EarPods without the wires. They sound the same, they fit the same, and they offer much the same control (albeit via tap instead of a wired remote. Oh, and they lack a volume control aside from Siri). But the lack of wires, and the addition of a few sensors, makes a surprisingly huge difference. No more tangles, obviously, but also no more booming cable noise in your ears. And no more snagged wires yanking the pods out of your ears. Just as amazing is the addition of automatic play/pause. Take out one AirPod, and the audio pauses. Reinsert it and the audio starts up again. Take out both AirPods and the audio pauses — and gets rerouted to the iPhone’s speaker. Keep one pod in the charger case, and stereo is mixed to mono so you can hear everything in one ear. And that’s before we get to easy pairing, sharing the AirPods between your devices pretty seamlessly, and the neat freedom of watching video on an iPad with wireless headphones. The AirPods exited the Cupertino womb pretty much fully formed, almost perfect from the beginning. 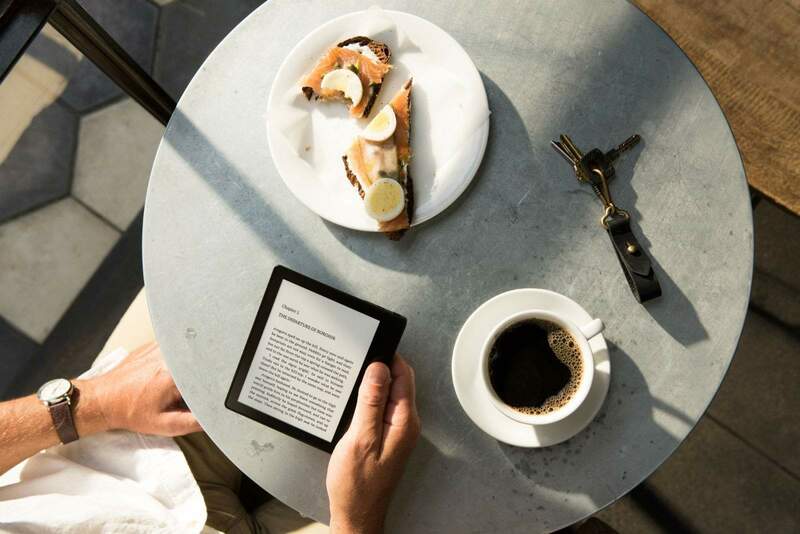 The new Kindle Oasis is almost as good as the old Kindle Oasis. Reading on your iPad or iPhone is fine, but reading on an e-ink screen is much better. It spares your eyes. Plus, the text doesn’t disappear as soon as the sun comes out, and the battery lasts for weeks, not hours. Well, the Kindle Oasis is the best e-reader yet. It boasts the biggest screen yet seen in a normal Kindle (ignoring that flop, the Kindle DX). It’s also waterproof, and it keeps the ultra-thin shape of the original 2016 Oasis, along with its physical page-turn button and asymmetric shape that lets you use it left- or right-handed. In fact, the only e-reader that’s better than the new Kindle Oasis 2 is the old Oasis. It’s smaller, and it cannot survive a bath, but it is a lot lighter (and way more pocketable) than version 2.0. It is also, despite many erroneous accounts, made from aluminum, just like the new one. It’s just that the aluminum case is painted black on the original. If you ever dropped it on a corner and chipped the finish, you will have seen the metal underneath. Fancy, expensive e-readers aren’t for everyone, but if you want the best, then this is it. Zelda on the Nintendo Switch. Nintendo once again proved the importance of synergy between hardware and software with the new Switch gaming console. Nintendo’s games are almost always awesome, and the games for the Switch are no exception. Nintendo’s hardware usually distinguishes itself through its amazing controllers. From the original NES gamepads, through the added shoulder buttons on the SNES controllers, the analog thumb-stick and rear trigger on the awesome N64 controller, to the gesture-driven WiiMote, Nintendo’s controllers have always been surprising, and always been designed to make the games better. In this way, Nintendo is like Apple, eschewing gimmicks in favor of solid design. The Switch is essentially a multitouch screen (just like a smartphone) with detachable controllers on both ends. These can be pulled off and recombined with a plastic handle to make a standalone wireless controller, while the screen (and brain) sits in a dock hooked up to a TV. It’s essentially a home gaming console and a Game Boy in one. 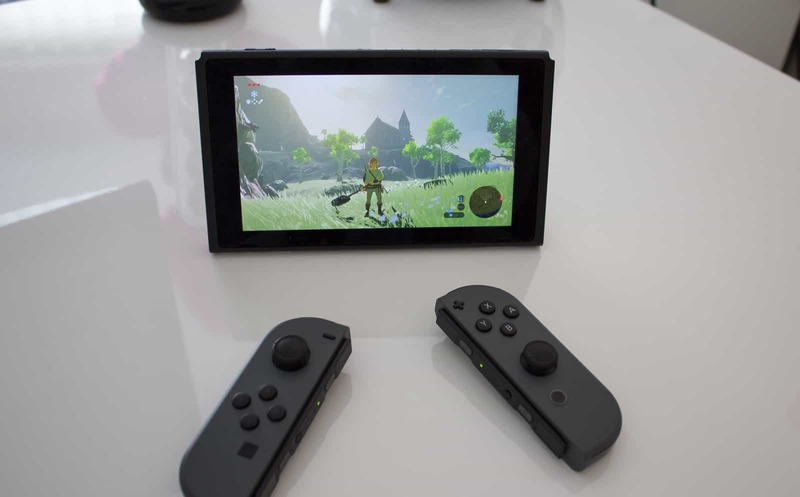 Despite some harsh reviews, regular folks love their Switches. And while some of us don’t care about games unless they are on our iPhones, this is the next best thing until The Legend of Zelda finally arrives on iOS. It won’t turn you into Marvin Gaye, but that doesn’t make the TR-08 any less awesome. Marvin Gaye wrote “Sexual Healing” while holed up in Belgium to escape drugs, tax trouble and Motown. He programmed the beat on a Roland TR-808 drum machine, commonly heard on hip-hop and dance tracks. The TR-08 is Roland’s modern take on the 808, a standalone beatbox that preserves the sounds and interface of the legendary original, but in a smaller box, and with many up-to-date extras — an LED display, USB connectivity, a built-in speaker, and more. Most important, though, is that that it works and sounds just like the original. 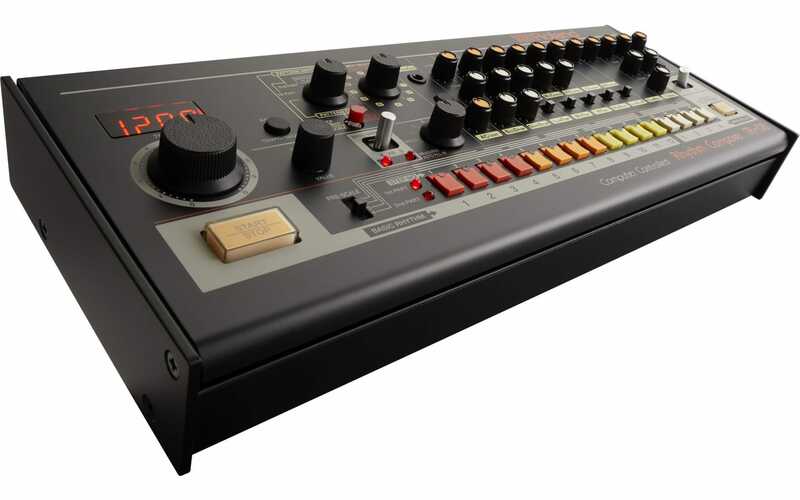 And twiddling the knobs of a real drum machine is way, way cooler than dragging sliders on a computer screen. This one had to be on our list. The iPhone X really is an amazing pocket computer. Mostly this comes down to the cameras and brilliant OLED display. 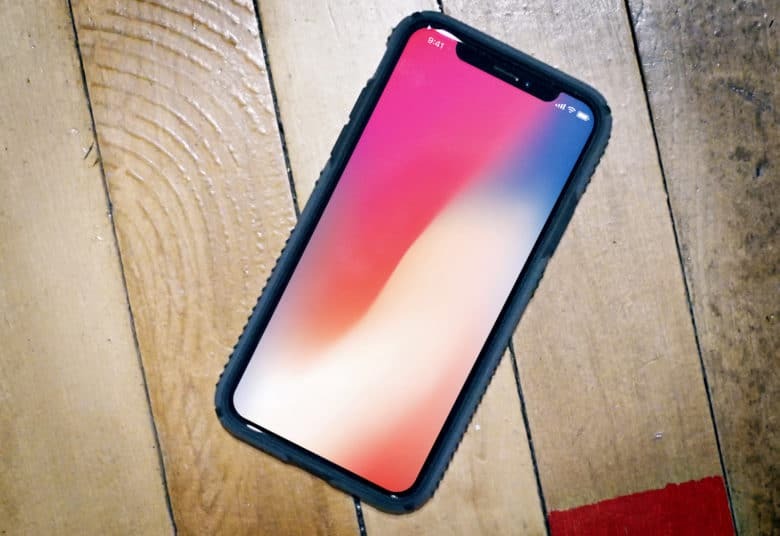 The new OLED screen not only looks amazing, but sips power, endowing the iPhone X with much better battery life than previous iPhones, while enjoying the awesome total blacks than aren’t possible with regular LCD/LED combos. But the really exciting part of the iPhone X is its cameras. The whole Portrait Lighting thing is extraordinary, letting you relight a photo with a few taps. That’s something that, up until the iPhone X, would have taken lots of skill, experience and Photoshop drudgery to pull off. But the camera isn’t just for photos. The front-facing Face ID camera effectively renders iPhone security invisible to the user. You never need to think about unlocking again — it just happens whenever you glance at your iPhone. It even hides the contents of your notifications until it senses that you are looking at them. Amid all the fuss about spoofing Face ID, there’s one clear trend: Most people set up Face ID and then completely forget about it. It really does change the way you use your phone. 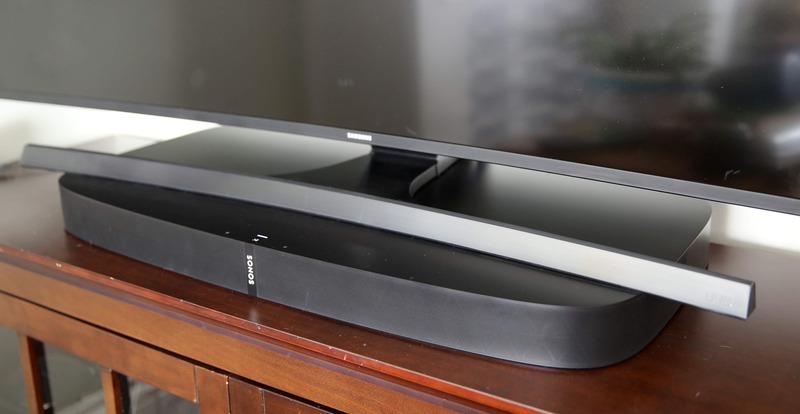 The Playbase home theater speaker from Sonos is slim but packs a punch. It sits low below your TV, doubles as the living room stereo and sounds wonderful. Sonos’ $699 Playbase is a thin, flat home theater/streaming music system that packs a punch. Don’t be fooled by its thin profile. Resembling a extra-large pizza box with rounded corners, the Playbase boasts 10 speakers, including a muscular subwoofer, and it makes quite a noise. It’s one of the best sounding home-theater speakers on the market, but it’s as much a streaming music speaker as a home theater component. It’s a living room stereo, capable of playing music loudly and clearly from dozens of streaming music services. And it connects to other Sonos speakers throughout the house. Sonos’ speaker is expensive, but it’s worth it. The Playbase sounds fantastic, and will give you many years of rich, detailed, punchy sound. The addition of a screen takes Amzon’s Echo to the next level. Amazon’s Alexa is a revelation. The smart-assistant is emerging as a fun and capable operating system for the home, performing tasks both mundane and complex. It can set a timer or guide you through a recipe for dinner. 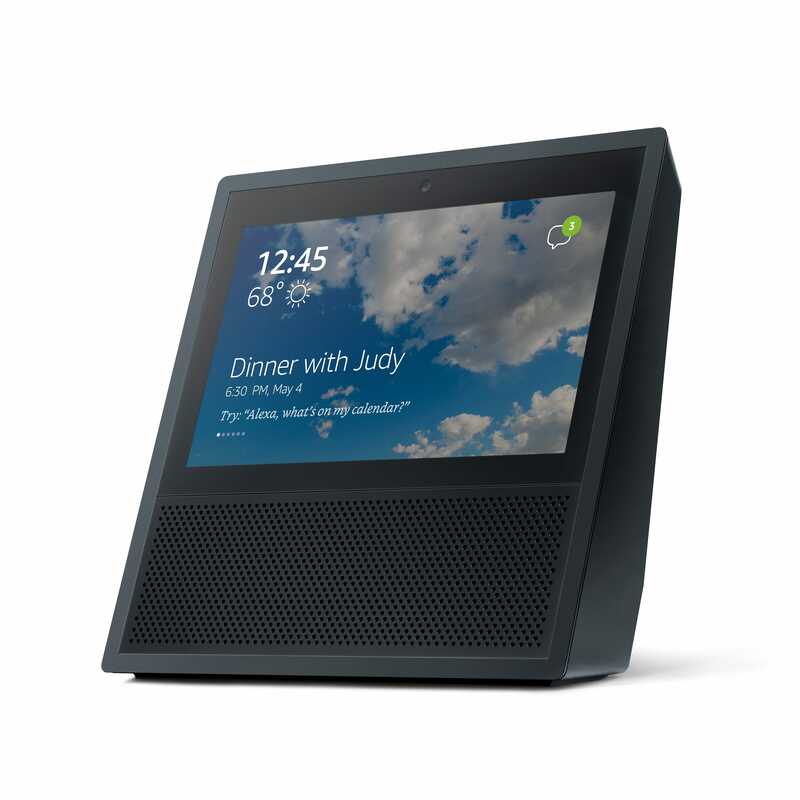 Alexa is already pretty great as a spoken word assistant, but adding a 7-inch screen makes a big difference. Not only do you get visual feedback on your commands, you get do a bunch of new things, from monitoring security cams to making quick and easy video calls. It has something for everyone. I like to listen to the radio from London. My wife checks news updates from CNN. The kids watch movie trailers and everyone checks the Ring video doorbell with just a voice command. See.sense’s Icon+ bike lights are both bright and smart. The price will make your eyes water, but See.Sense’s Icon+ bicycle lights are the best on the market right now. The $225 set are designed as daytime running lights. Cars have them, and bikes should too. The Icon+ is well-designed, well-built and super bright (420 lumens at the front; 250 lumens in the rear). With up to 15 hours of battery life from the built-in rechargeable batteries, they can go for weeks between charges. Best of all, they’re smart. There’s no need to turn them on or off — they automatically stop and start when the bike moves. Built-in accelerometers and light detectors change the brightness and flash pattern when slowing down or approaching a potential hazard like a junction or a tunnel. They flash faster when they detect car headlights, and can be set up to sound crash and theft alerts via the accompanying iPhone app. Yes, they’re pricey, but they may save your life. Netgear’s Arlo Pro 2 wireless camera is versatile and easy to use. We had a raccoon problem, which led us to pick up a pair of Netgear’s fantastic Arlo security cameras. Unfortunately, they alerted us to the fact that we also have a mouse, rat and cockroach problem too. 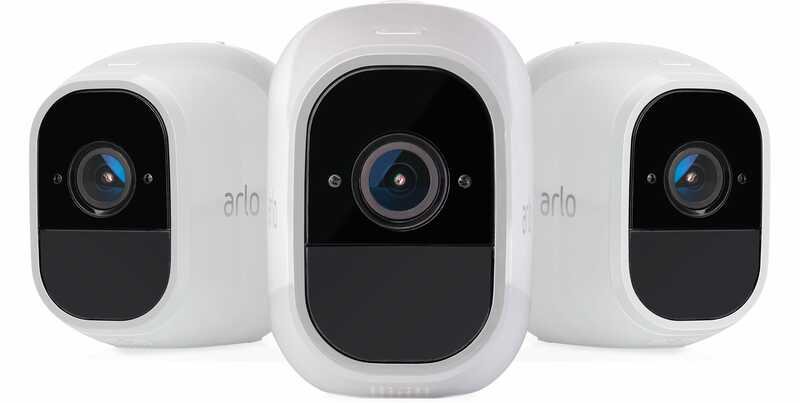 Wireless and weather-proof, Arlo’s battery-powered cameras are arguably the best home cameras out there. They’re just so easy to use. They can be put almost anywhere and thanks to motion detection and night vision, they easily alert you to all kinds of nocturnal critter action. The app is easy to use and videos can be stored and watched for free for a week. A paid option offers continuous 24/7 monitoring. The latest generation Arlo Pro camera boasts 1080p HD video, support for Amazon Alexa and a solar-power option. A starter kit with two cameras and a base station is $479.99 MSRP. The iPhone X is amazing, but the gadget of the year, for me, is AirPods. They really do change the way I listen to music and podcasts. Not only is it all a lot easier without the wires, or even the need to tap play on the iPhone, but they also sound great. I’ve never gotten on with the regular EarPods. They fall out of my ears. But the lack of a wire, which adds a lot of weight to each bud, means that you can jam the AirPods in at odd angles, and they stay put. I wear mine sticking out of my ears somewhere between horizontal and straight down. They probably look dorky as hell, but I don’t care, because they are snug, they stay in, and they seal out traffic noise so I don’t have to crank the volume. It seems crazy that a pair of wireless earbuds can be our gadget of the year, but on the other hand it shows just how much remains to be improved in designs that previously seemed fully baked.